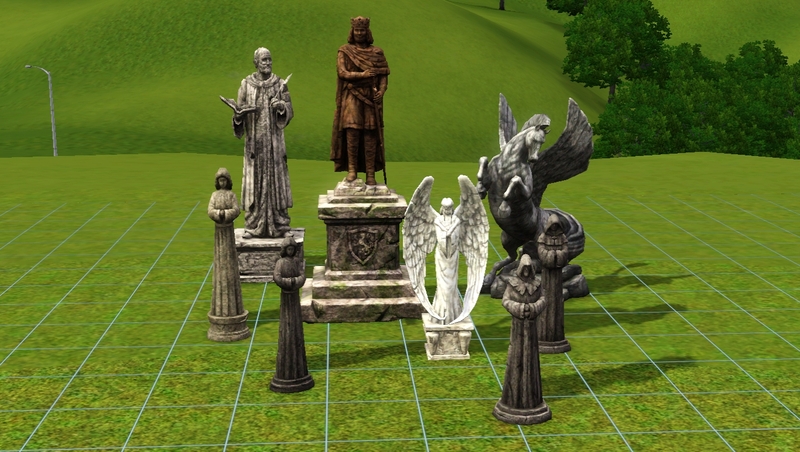 I added channels to make them recolourable and they can be found under ‘sculptures’. Anyway, I thought I’d share them. There are 12 options and you can find them for $10 under ‘paintings’. 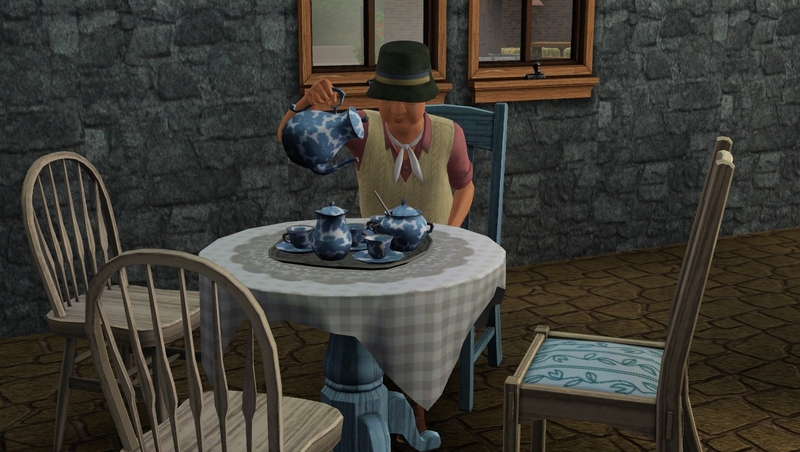 It does not override the original tea table, so you can still use that version as normal. 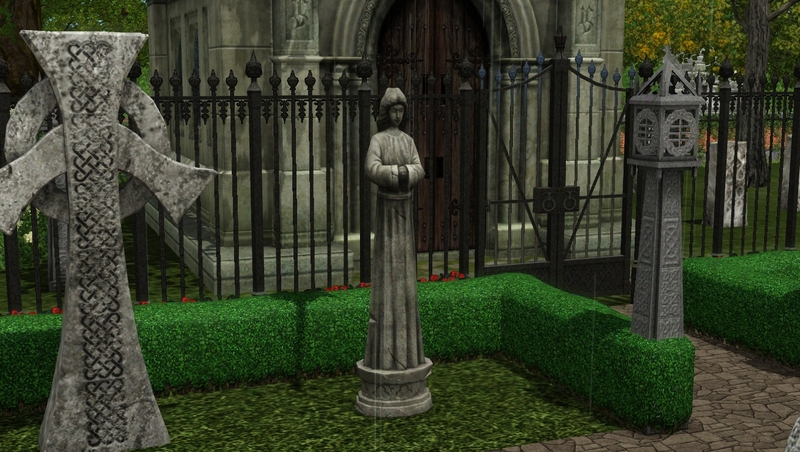 The modded version will show up as a separate object in the catalogue. 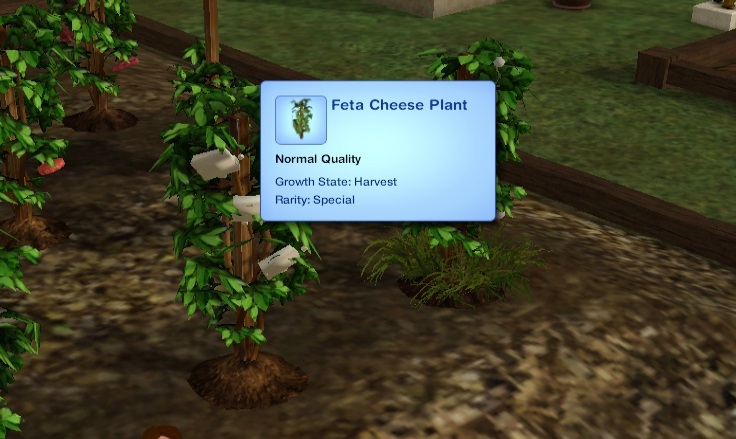 I made this mod for one of my sims who has the ‘unstable’ trait. My poor sim is lucky enough to have a supportive family who make sure she checks into hospital when she is having one of her ‘delusional episodes’. It bothered me that she would only nip into hospital for an hour and then waltz out all fine and dandy again. I wanted these moments to have a bit more of an effect on her family. So I adjusted the time spent in hospital to 24 hours. While checked-in, the sim is well cared for and has their needs met as best as possible. I adjusted it so that hunger, bladder, energy and hygiene would steadily increase during the time in hospital. 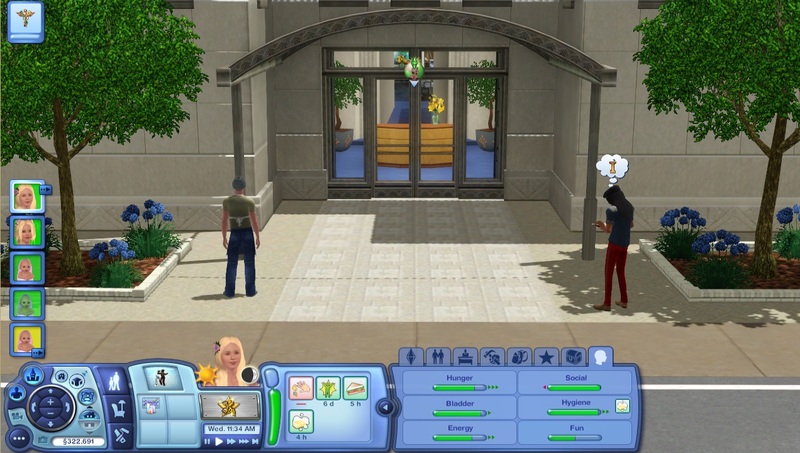 However, sims find their stay a little boring and might need some fun and social activities when they get out, so you might have to keep an eye on them. Just unzip the file and pop the package into your usual mods folder. It is unlikely to conflict with other mods, unless they also edit the very specific files that control being admitted for instability. These are just three little jobs I needed for my own town Crumpleton. 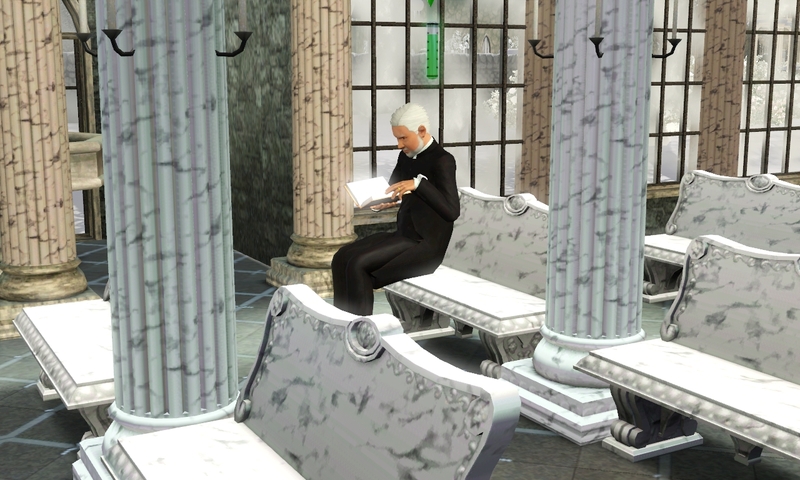 I needed a vicar for my church, a librarian, and someone to tend the bakery. 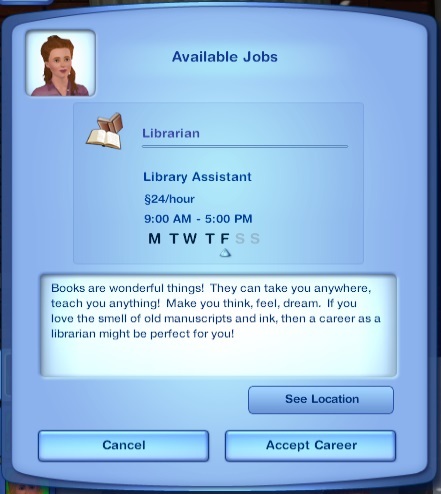 I wanted to set it up so that if I sent another sim to the library (for example) that my librarian sim would actually be working on the lot. There are other ways to do this but I personally find this way to be most effective. 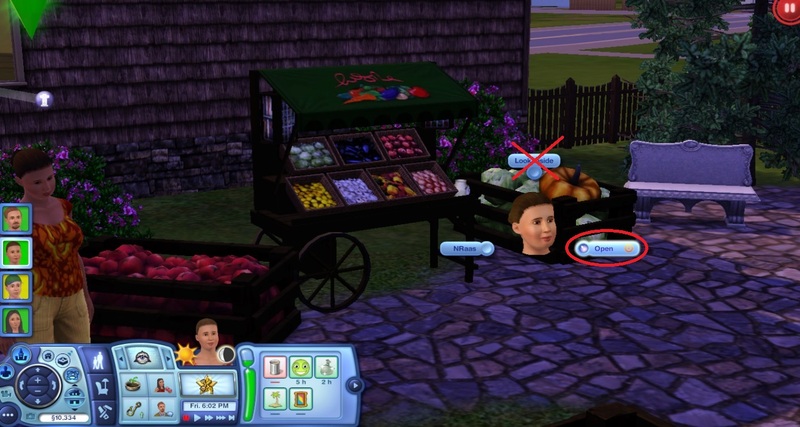 They are not full careers with 10 levels, but work as ‘placeholders’ or mini-careers to assign certain roles to each sim. 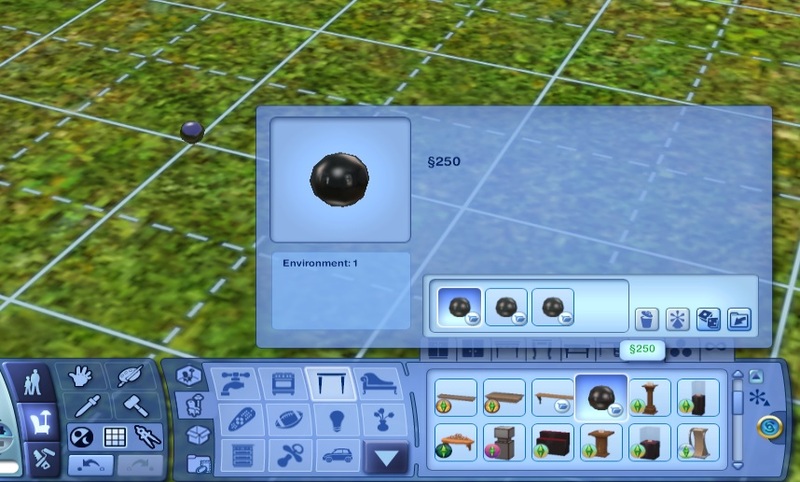 If used in conjunction with Ultimate Careers, you can set it up so that your sim will go to the correct lot when called to work. So if you visit the church with another household during work hours, your vicar will be there! 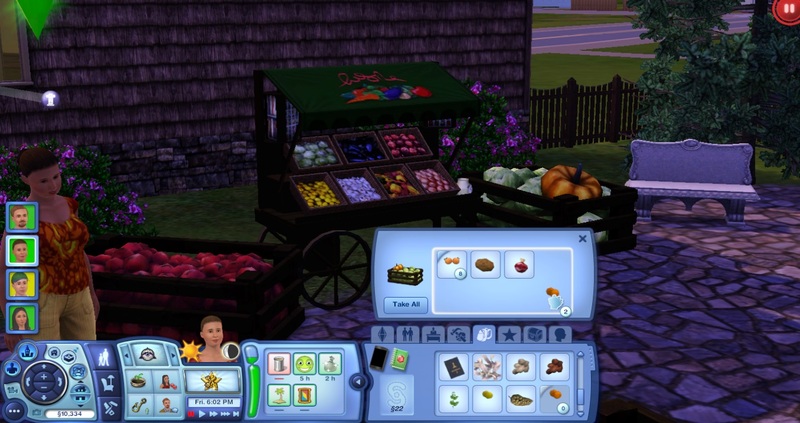 Each career has 2-3 levels, this is so that your sim can have days off and you can employ another sim on the alternate level to cover those shifts. So, for example, the second level of the librarian career is ‘archivist’ and the days of are Saturday and Sunday. You can hire a ‘trainee librarian’ if you want those days covered. 1. In live mode, have your sim join the career. All three careers are available by clicking on the City Hall. 2. Ensure custom careers are enabled by using the ‘Zerbu’ option on the City Hall rabbithole, and choosing ‘Ultimate Careers’ –> ‘Enable/Disable Careers’. ‘Custom Careers’ needs to say ‘enabled’. 3. 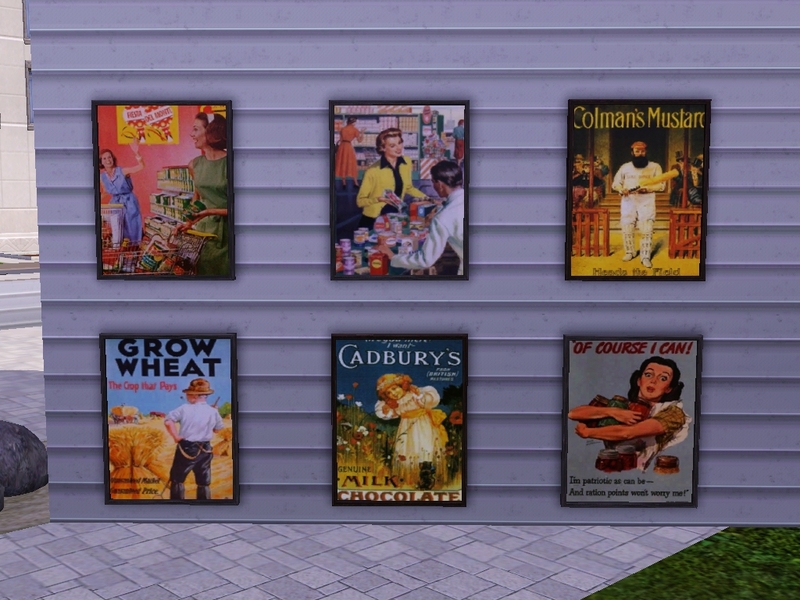 Now you need to decide which lot you want your sim to work in (for the librarian you might choose the town’s ready-made library). 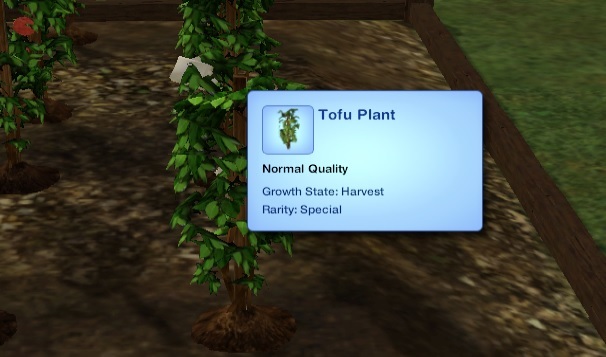 Once you have chosen a workplace, make sure you have the right sim selected and click on the ground or walls of the lot to find the ‘Zerbu’ option. Choose ‘Lot assignment’ and then ‘Link [Sim’s] Career to Lot’. 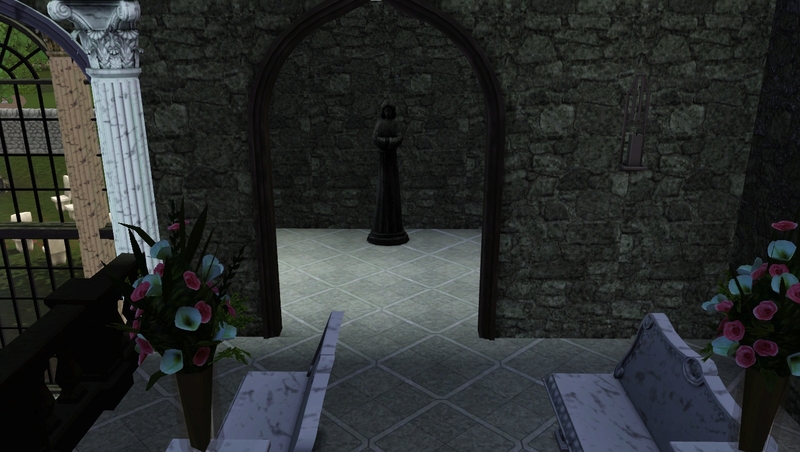 This tells the mod to send all sims in that career to that venue, instead of entering a rabbithole. 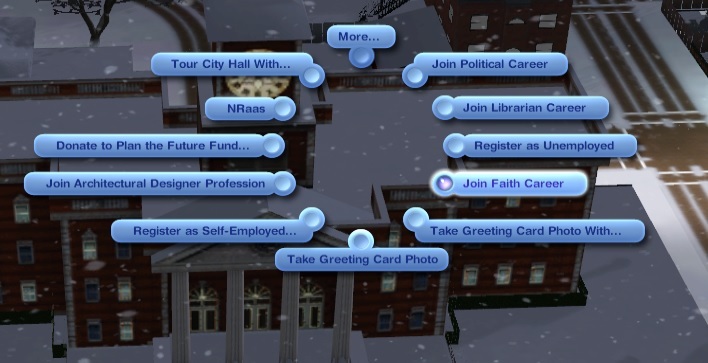 Be careful not to link the career rabbithole to the lot, unless you want ALL the careers to use the same lot (for example, linking the City Hall to the lot will mean politicians would also be assigned to your venue). 4. 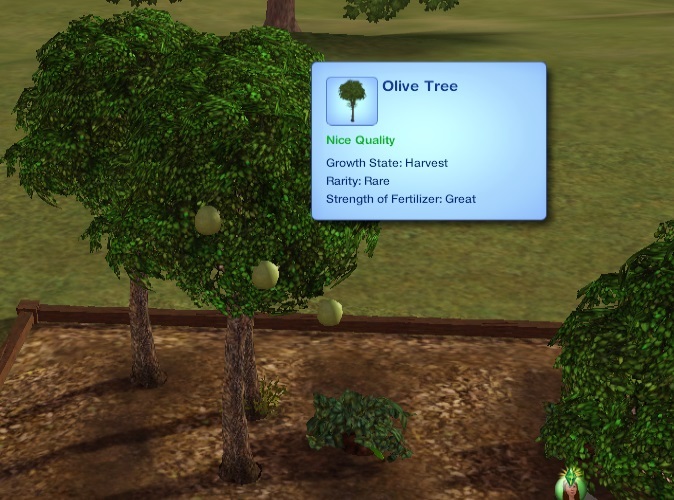 Finally, you need to tell the mod which objects the sims should use to build their career performance. You do this by clicking on the City Hall and choosing the ‘Assign Career Type’ option under ‘Zerbu’ (you only need to do this step for custom careers). 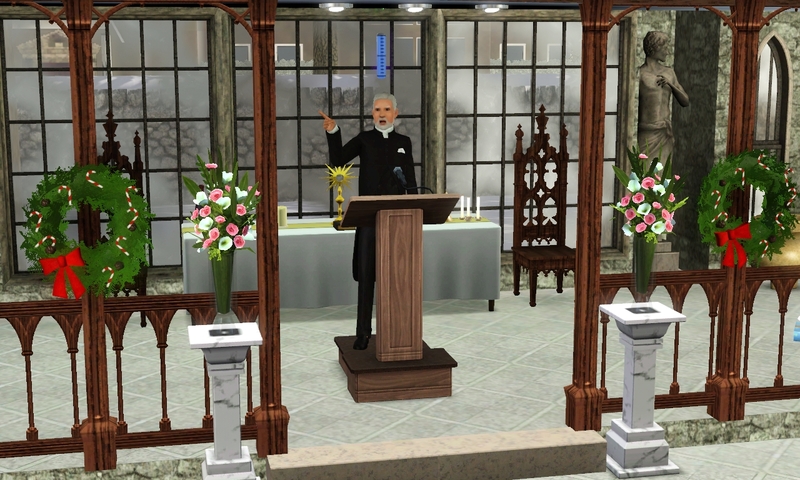 Each official career has a list of appropriate objects that a sim is pushed to use with the UC mod, for example, politicians will be pushed to use the podium. A full list of careers and their objects can be found here. You need to choose which official career uses appropriate objects for your custom career and assign the career type accordingly. 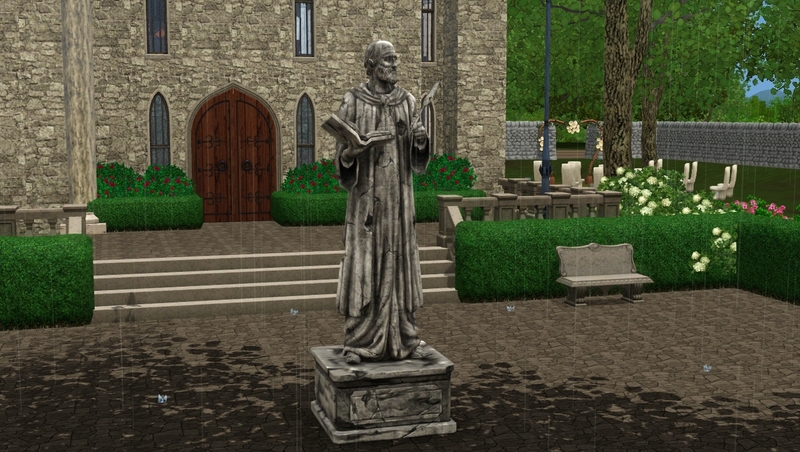 So, for my vicar career I choose ‘politics’ because they both use the podium and sims are encouraged to read books. 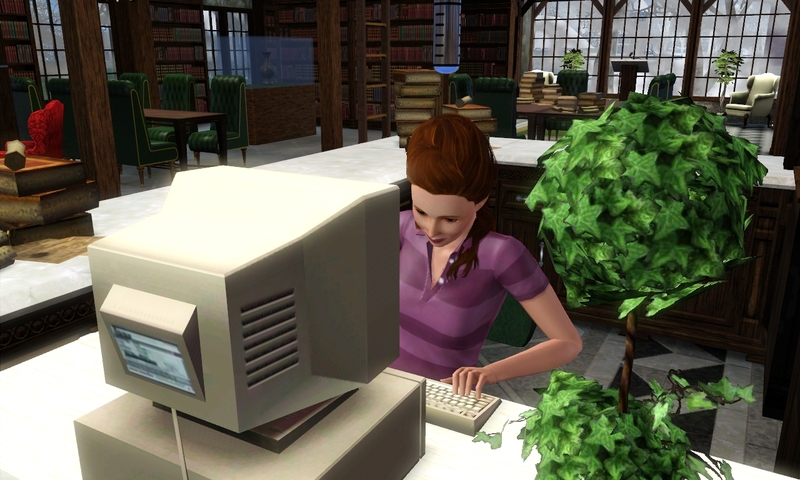 For the librarian career I choose business. 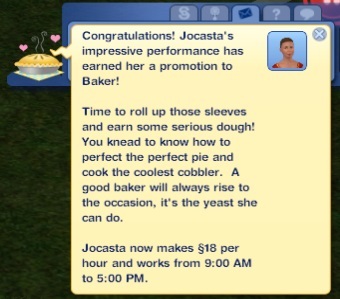 For the baker career you could choose culinary or business. 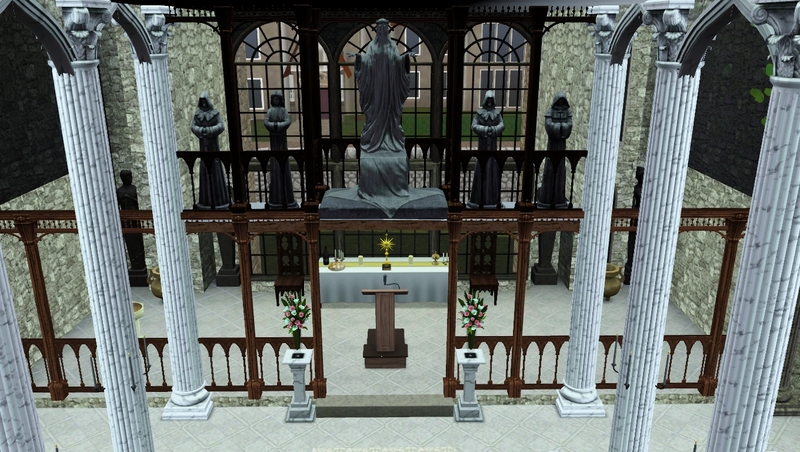 Sims should be pushed to autonomously use appropriate objects, so if you visit your church with another sim you might find your vicar holding a ‘sermon’ at the ‘pulpit’ or reading a ‘sacred’ book (a little imagination is required). A couple of disclaimers. Yes, my spelling is atrocious! So despite my best efforts there might be a mistake or two. 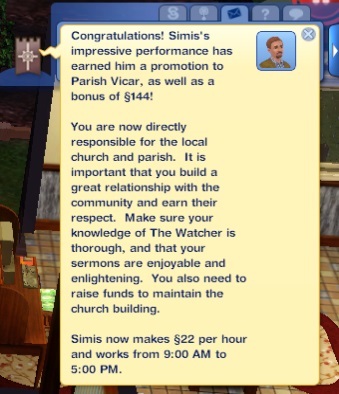 *^.^* Also, I tried to make the ‘vicar’ role fairly generic, it is actually called the ‘faith’ career in game. 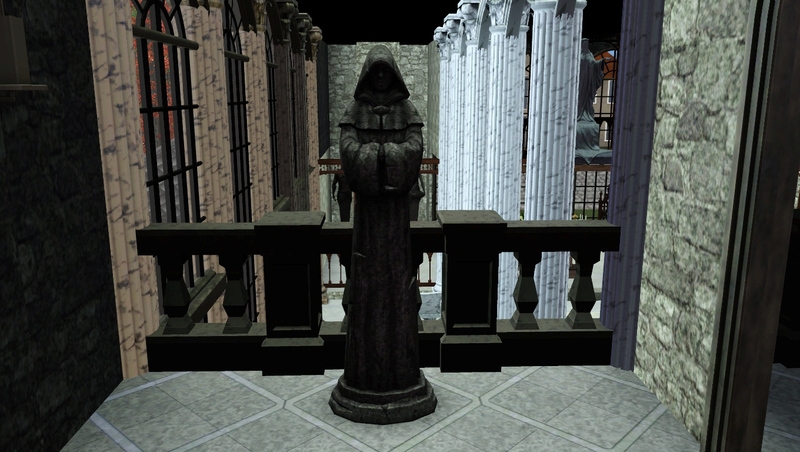 Also, I used the term ‘The Watcher’ from the Sims Medieval religions. Since I made it for my English countryside world is does resemble the Christian faith, but I don’t claim to be an expert in such things so please don’t be upset by any errors. These careers do assume some familiarity with the Ultimate Careers mod, and can be a bit tricky to set up. If you have any questions feel free to ask me here, or give me a poke on twitter (@Cinderellimouse). Update! 21st Nov 2014: I added the ability to throw campaign fundraisers at level 3 of the faith career. Please re-download and remove the previous version. Download all three jobs here! Nraas Careers base-mod is essential. My careers will not show in game without it. Zerbu’s Ultimate Careers is recommended but not essential. I also recommend my tuning file for the UC mod, if you would like a bit more freedom without losing career performance. An example would be if you would like to have your vicar make house-calls during work hours. Finally, I just wanted to post the link to MissyHissy’s Job Centre. If you would like more custom careers I highly recommend checking out her site! While mine are just ‘place-holders’, these are full careers with 10 levels, similar to what you find in the game. Update 21st Nov 2014! 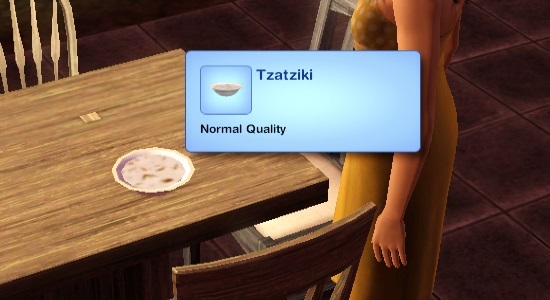 I fixed the issue where sims would reset and get an error message when eating some of the ingredients. I added custom harvestables for the spinach, mint and elderflower, so these will now look slightly different from their original clones. 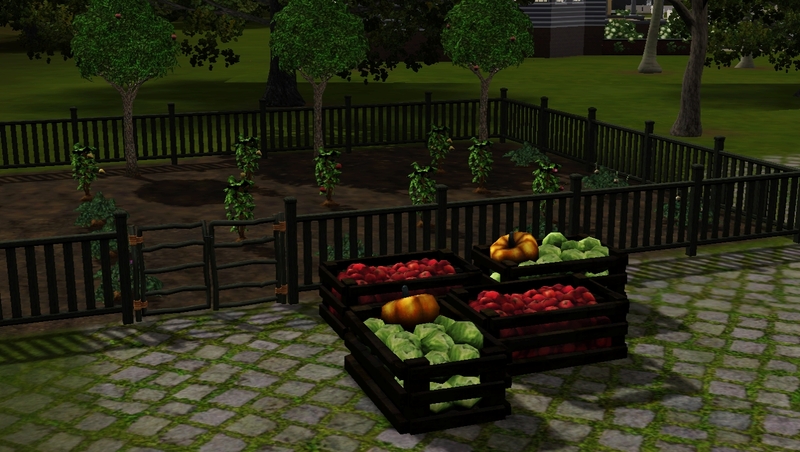 Ingredients grown or bought with the old version may still be glitched, but new or replanted ones should be fine. Please re-download from the link below, and remove the older version of the mod. You must install both packages in the zip. UPDATE 1ST NOV 2014! I removed a couple of unnecessary files from the mod which were causing script errors. 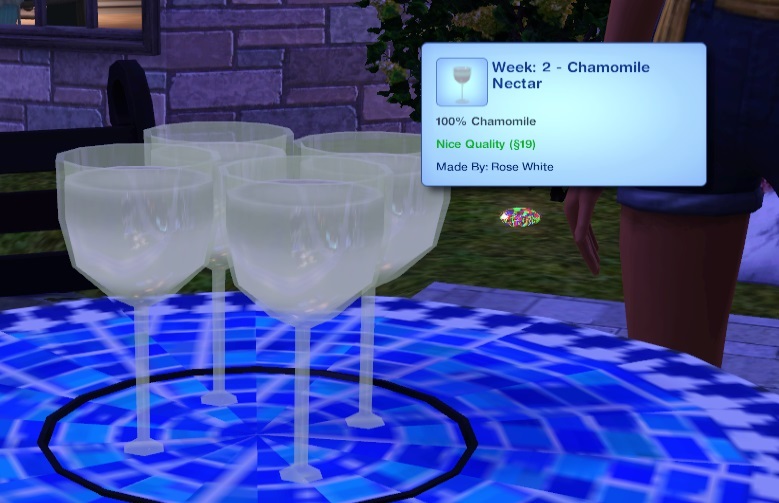 This is an extension to my nectar mod, if you are using that mod please remove the file and replace it with this one. There is also a small fix (thank you Susan). 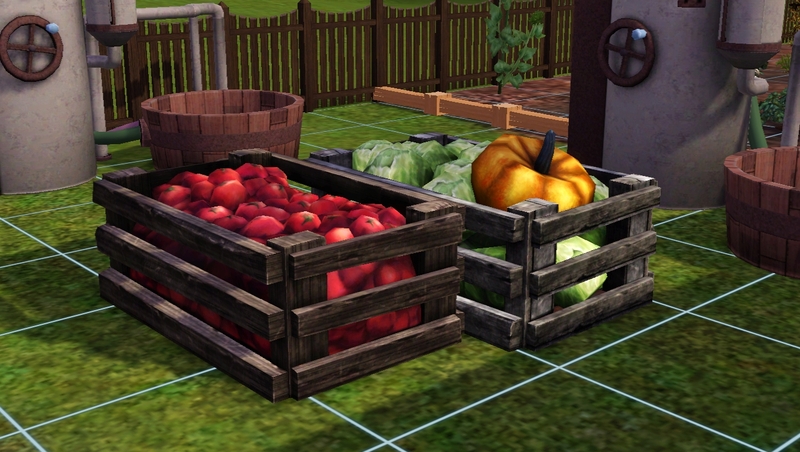 I’ve been trying to work out how to add more harvestables to the game for a long time, and finally had a bit of a breakthrough! 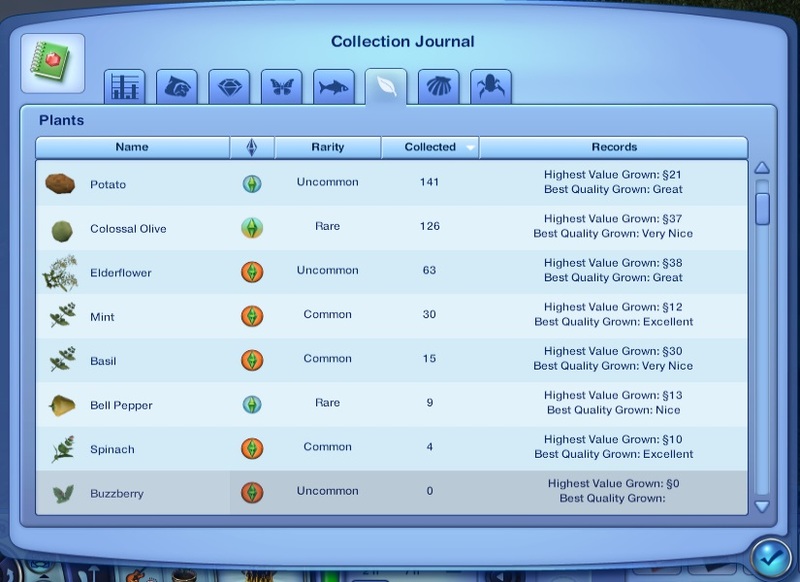 While I haven’t been able to add entirely new harvestables like the talented douglasveiga, I have worked out that I can clone references to existing ingredients and give them new text. 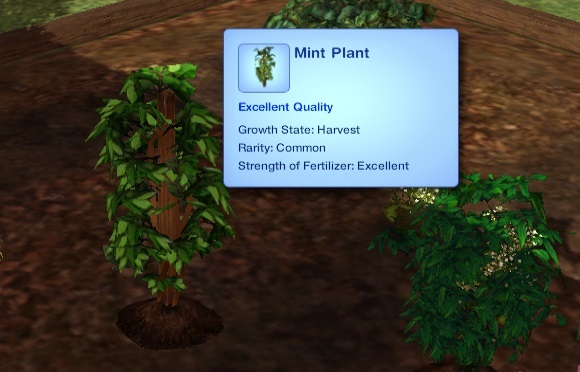 For example, I edited the ‘ingredients’ file to add a new entry for ‘Mint’ that uses the object models for ‘Basil’ because the plants look similar. I also realised I could use a similar technique with recipes. 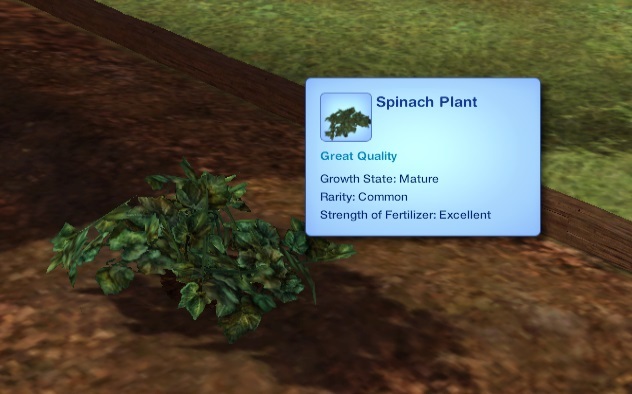 So far, I have been unable to make the mod use cloned plants/foods with edited images, but I will continue to work on this. All these new ingredients can be bought from the grocery store. The price depends on the quality of the ingredient, but I tried to set the base prices in line with other similar ingredients. All five recipes require three ingredients, at least one of which will be a new custom ingredient. 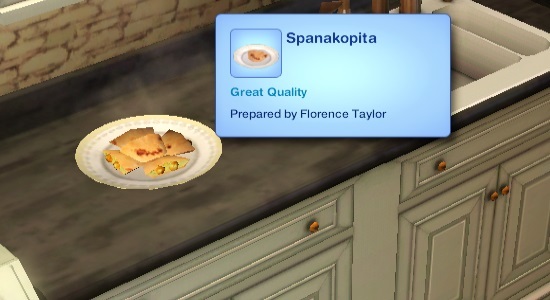 They unlock automatically as your sim’s cooking skill improves. Tzatziki which is a snack and only had a resource for a single serving, but all other recipes have both single and group servings. 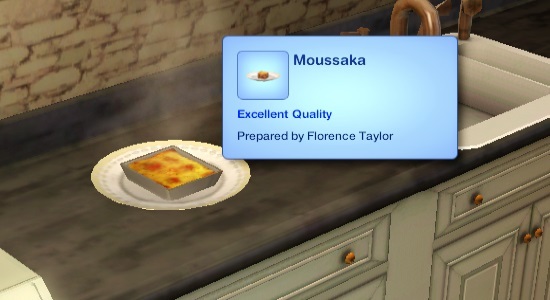 I mixed and matched the existing resources to try and get the preparation of the meals as logical as possible, so the sim will use the oven to make moussaka, for example. 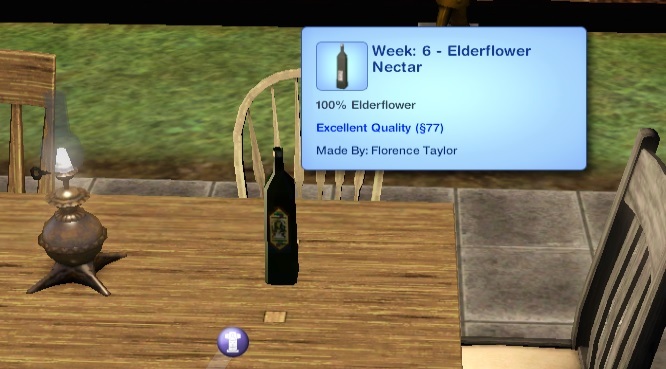 I am personally very happy that I can make ‘Olive Oil’ and ‘Elderflower Wine’! 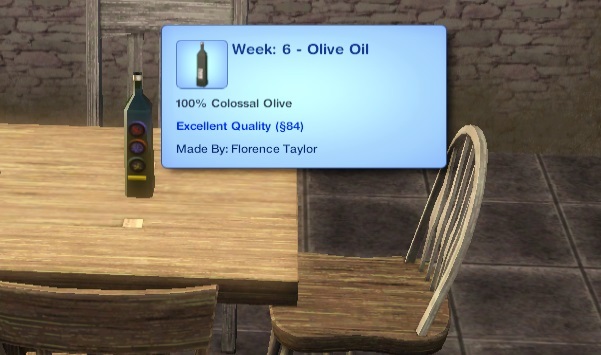 My test sim, Florence Taylor from Monte Vista, now has a small olive grove and olive oil business. Fixed! There are a few hiccups that I haven’t been able to fix yet. 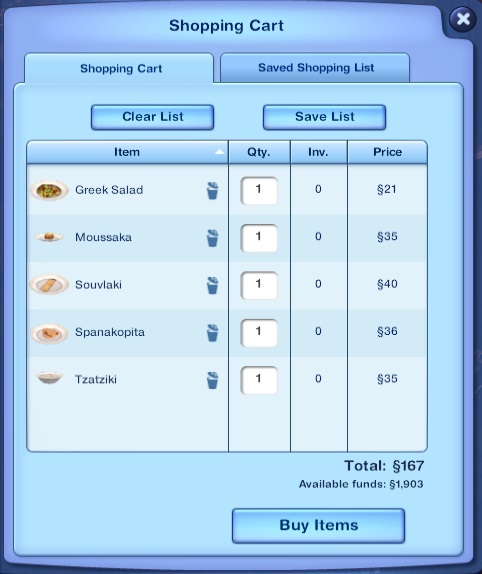 Sometimes Greek Honey will revert to normal honey if in the inventory when the game is loaded. 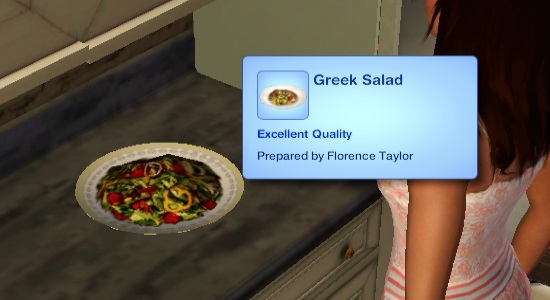 Olives and Greek Honey can be eaten straight from the inventory without issues (same with Lamb if the sim is a werewolf), however new ingredients based on herbs will reset the sim when ingested (existing herbs are fine). 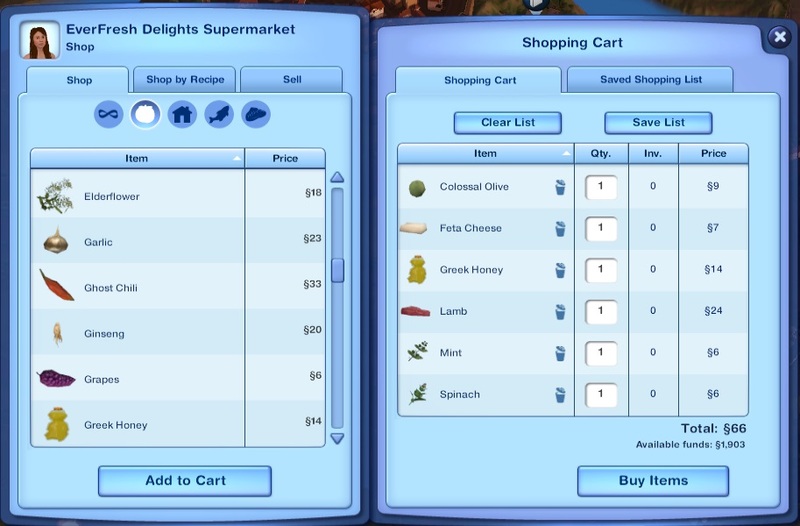 There is also an issue when adding new ingredients based on herbs to meals using the ‘add herb’ interaction which causes the sim to reset. Errortrap helped me track the issues with the new harvestables based on herbs to a missing resource. 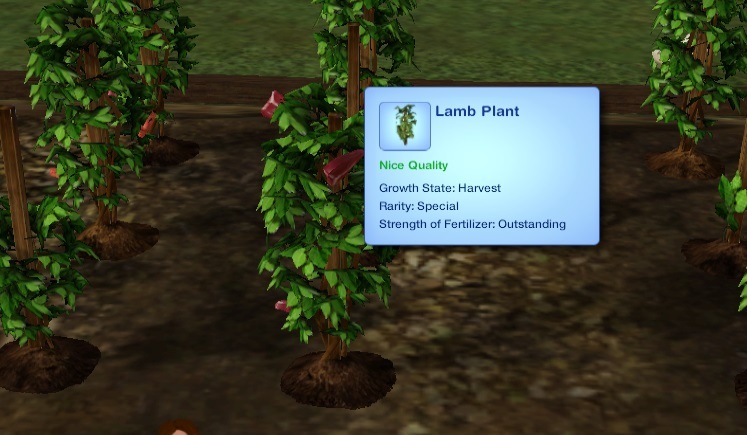 Herbs use a resource to load moodlets when ingested, I have found the files and have tried to add matching custom ones but have so far been unable to make the game recognise the new reference. I will keep working on this and update the mod when I figure it out. 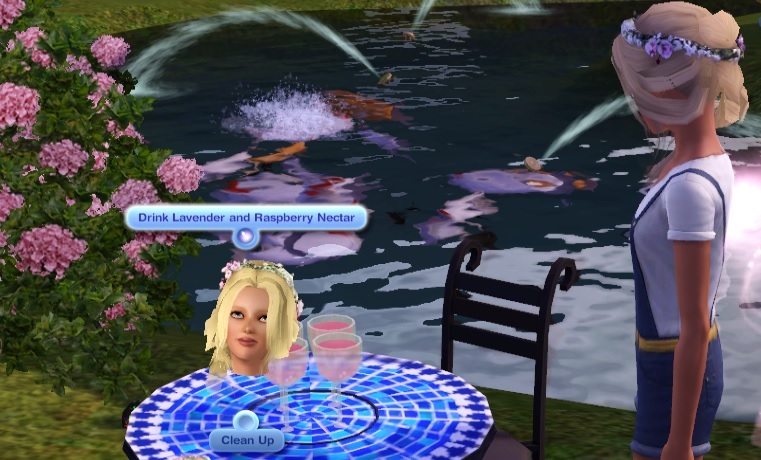 For me, I find these to be minor issues but as a temporary fix I have made a mod to stop sims autonomously eating ingredients straight out of the inventory, I recommend installing this too. Fixed! I have tested the mod extensively (i.e I had so much fun testing it that I played with the new goodies more than I needed to) and those were the only issues I found. Please let me know if you find anything else. Douglasveiga and Blackcat007 at MTS, I spent a bit of time poking at their mods to see how they worked. And Twallan and Nraas Industries for the BootStrap Creator and the Careers tutorial that taught me so much! 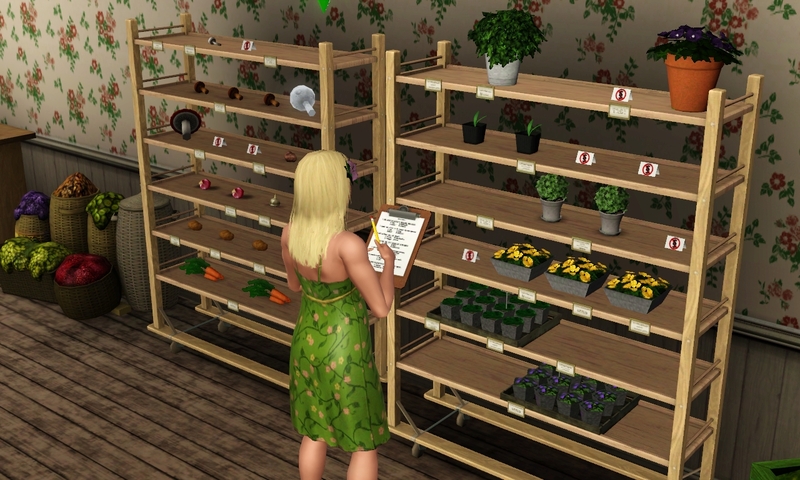 This mod will conflict with any mod that edits the ingredients, recipes, and plants files. That’s it! I hope you have fun! 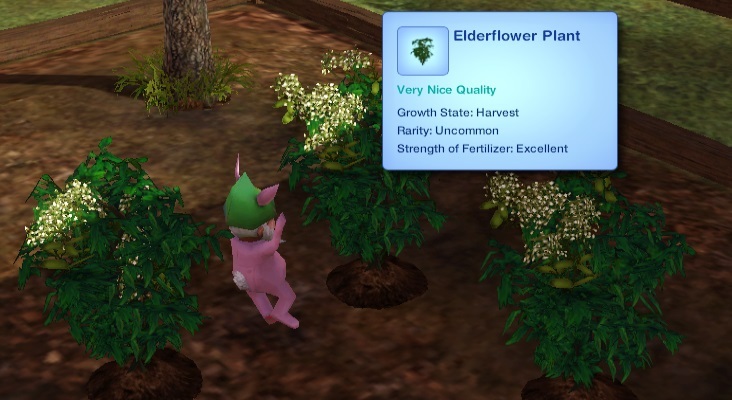 Click here to download the new ‘Nectar_Plant_Ingredient_Recipe’ mod! Unzip the download and pop the .package files in your mods ‘packages’ folder. Important!!! Be sure to remove my old nectar mod and any other mods that effect ingredients/plants/recipes!!! 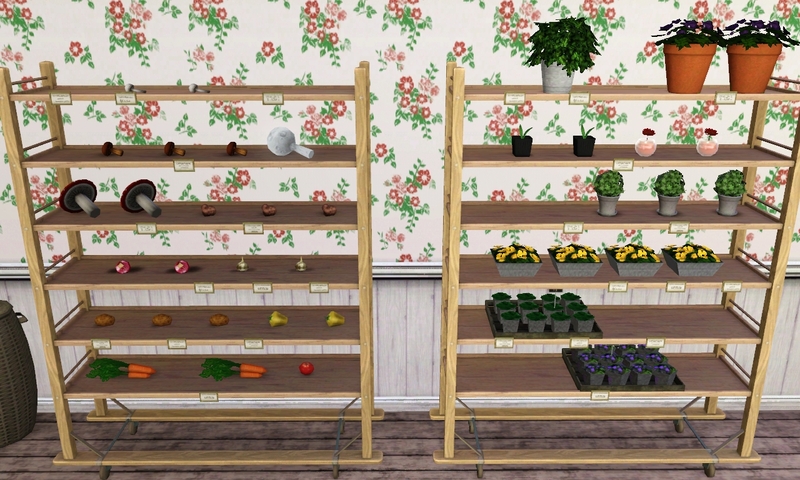 Aren’t the shelves from the Deliciously Indulgent Bakery lovely? I love this venue! Sooooooooo many pies! Nom nom nom! Only… I kind-of wanted to be able to sell more things than JUST prepared food with these items. 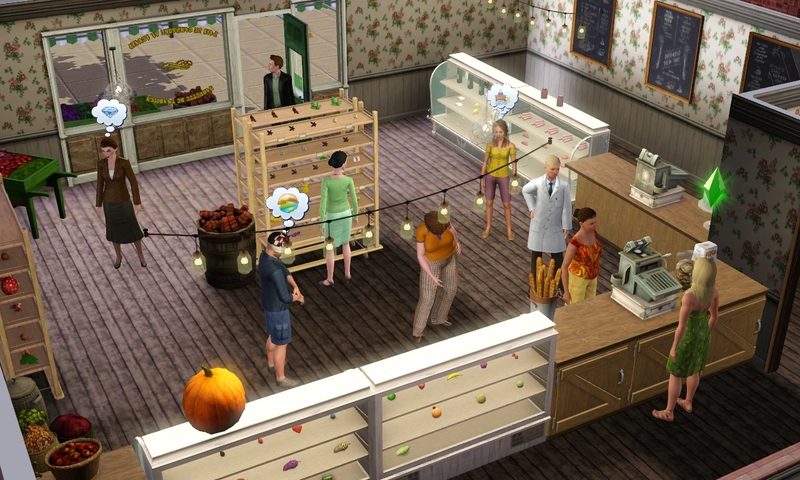 Then I watched Ani’s Let’s Play where she runs a bakery and mentions how she modified the shelves to use her savvier seller code. I LOVE her savvier seller mod, so I followed the advice on MTS and ATS and cloned these items too. 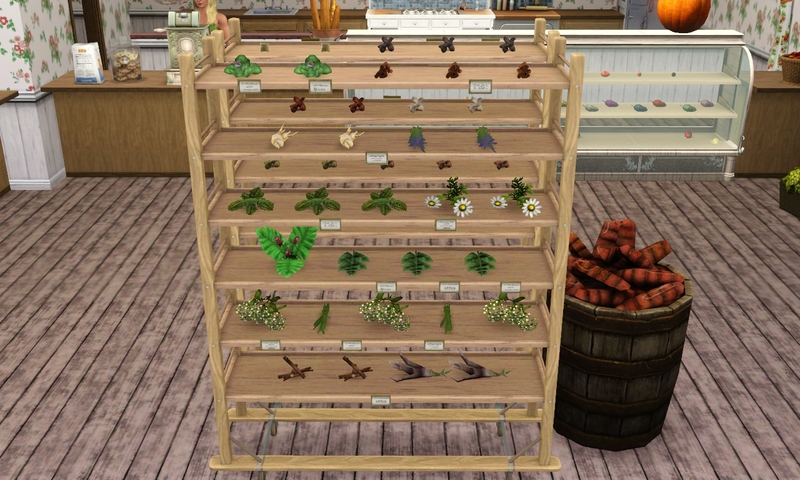 A lot of people have seen me using these modified shelves and asked me to share the mod. I couldn’t. Because they are cloned store items, it would have meant I was pirating content, and I strongly oppose this. HOWEVER! 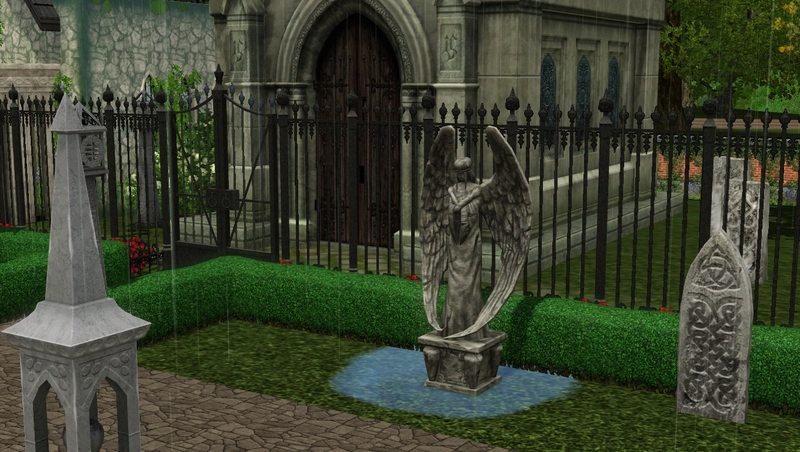 It bugged me that I couldn’t share them, and after some file-poking I managed to make a sharable version of the mod! Instead of cloning the object, I just use the OBJK and OBJD files to override the original stands. 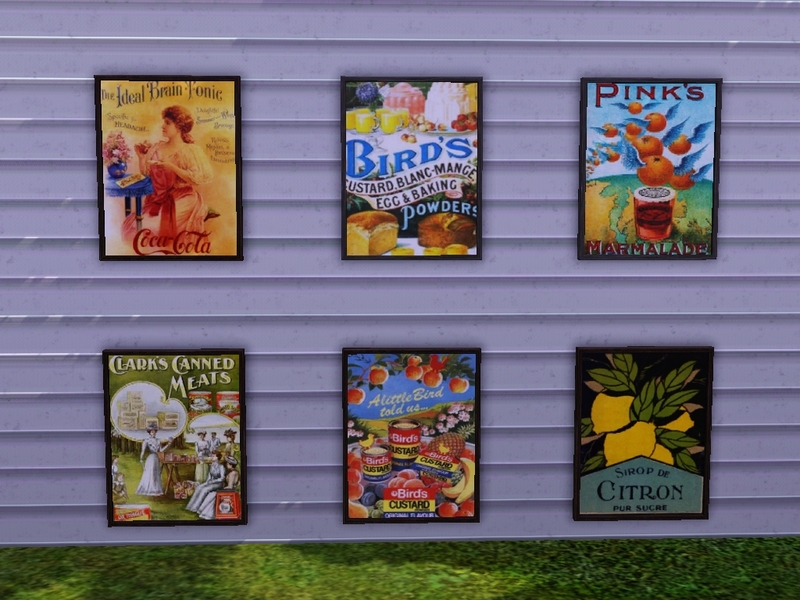 You absolutely must own the Baker’s Bazaar Collection and the Savvy Seller’s Collection for this mod to work!!! You need to have this content installed, and also Ani’s Savvier Seller mod. If you do not have the store content installed the shelves and register will not show. All you will see is foil balls. Without Ani’s mod, the shelves and register will not function. * Being able to sell almost anything using the stands! * Having the functionality of Ani’s savvier seller collection. 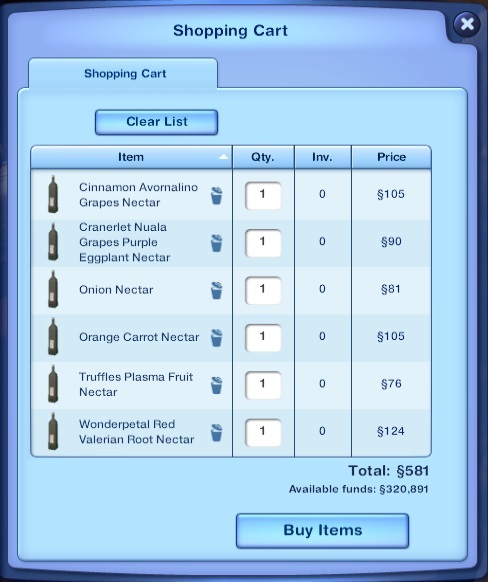 * Being able to restock sold items. * The ability to have multiple shops on one lot, with different ‘owners’. 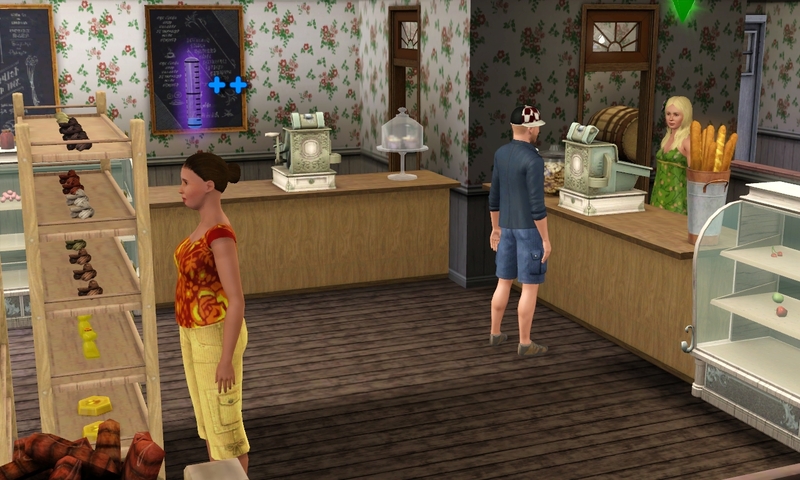 Unfortunately since this mod overrides the original stands it does conflict slightly with the Nraas Cupcake mod and the ‘Deliciously Indulgent Bakery – More Interactions’ mod by douglasveiga at MTS. 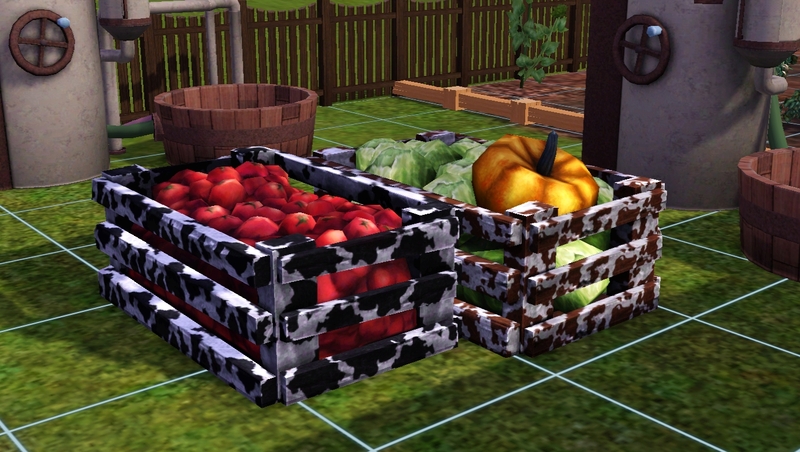 For this reason I packaged each object mod individually, so you can decide which one you want to use. 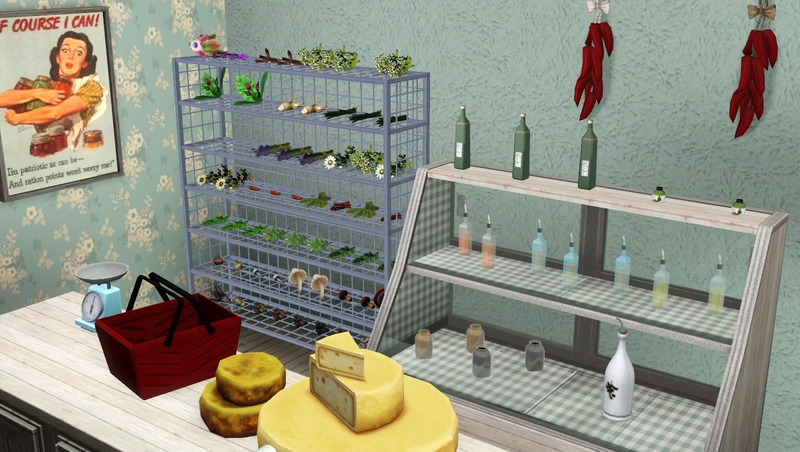 For example, you could just install the package that overrides the fridge shelves: this way you could still have the functionality of the other two mods (and the original bakery) on the rack. This has been thoroughly tested with both mods. The purpose here is to give you greater flexibility and choice, to be able to choose the best option for your game and your play style. If you are unsure and have questions you would like to ask, please feel free to comment here or ask me directly on Twitter. 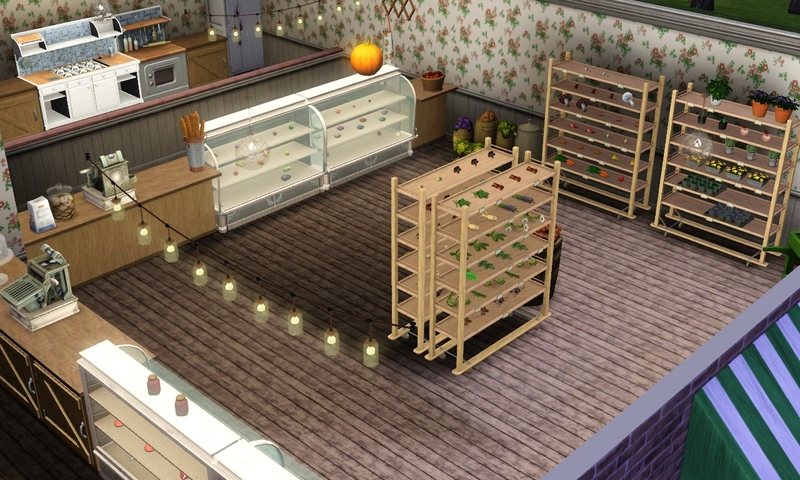 Ani’s bakery with the modded bakery shelves. 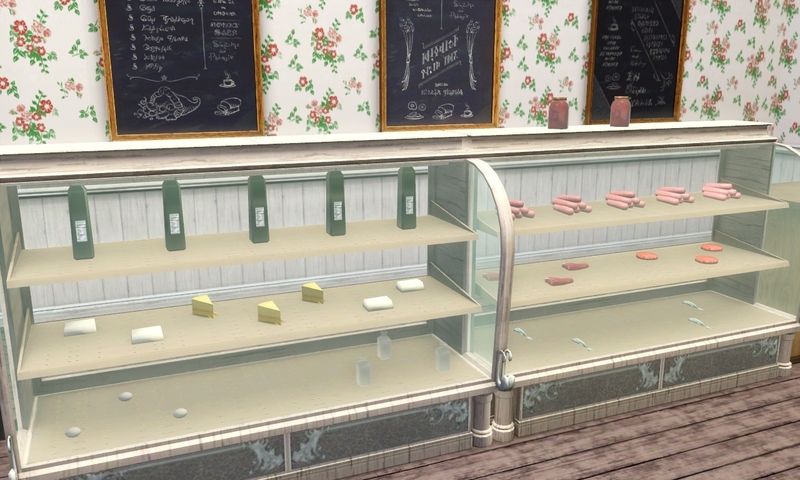 Ani’s butchers and grocery shop using her savvier seller mod (to give an idea of the things you can sell). Ani’s savvier seller tutorial for people who are unfamiliar with the savvier seller mod (this tutorial shows an older version of the mod). Finally, I would like to acknowledge the genius that is Ani! Her mods are amazing and I am so thankful she shared them with us all! She made it so I can play my game in the way I want to play it, and I’m so so so grateful to her! 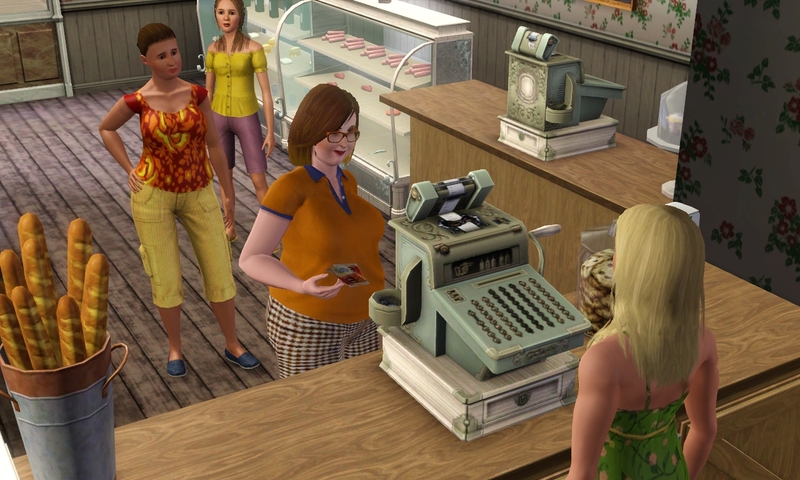 I loved Open for Business for The Sims 2 and was so disappointed we never got that expansion for TS3. I was thrilled with the content the store provided, but Ani’s mods take their functionality to the next level! IMPORTANT UPDATE! 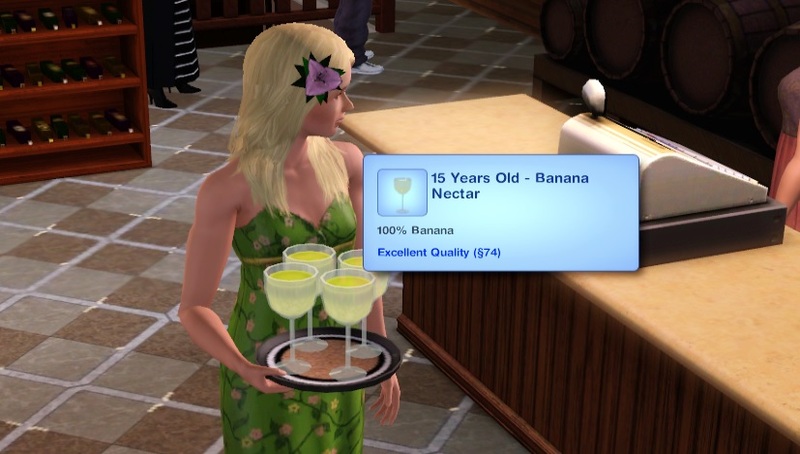 This mod has been updated to include new recipes here. 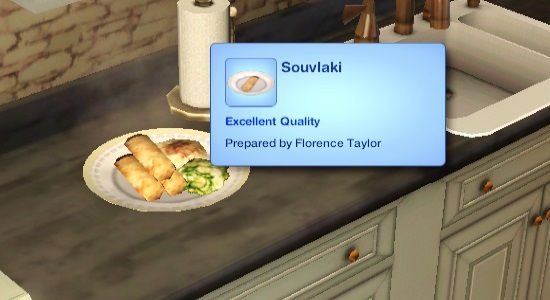 Please only use EITHER this mod or my Greek ingredients mod. 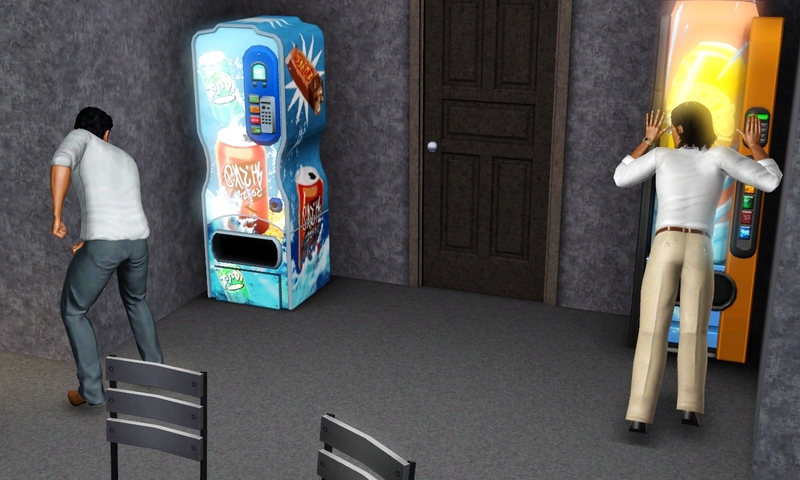 Sims can now shake and slam the vending machines as much as they please without the chance of being crushed to death! Yay! 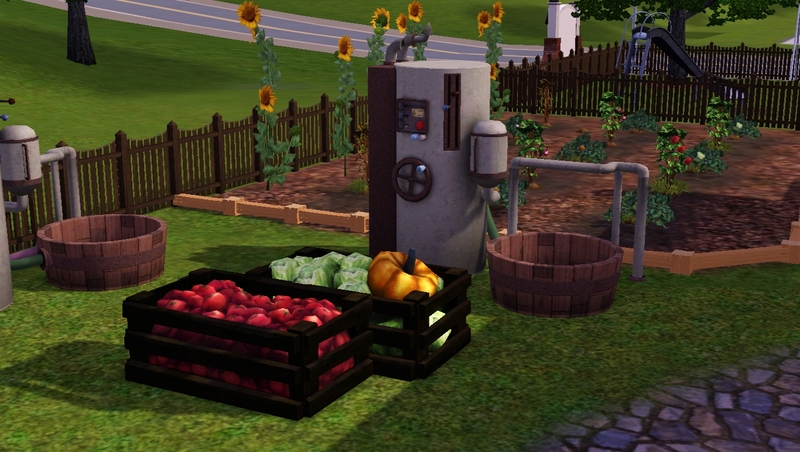 This mod CAN be used at the same time as the Vending Machine Tweaks mod by icarus_allsorts. I tested them both in my game and they work absolutely fine! Just unzip the file and put the package into your mods/packages folder.